I hope you enjoyed your Thanksgiving and will have a wonderful holiday season. 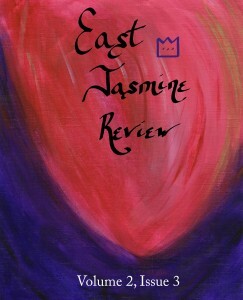 Here at East Jasmine Review, we’ve been overwhelmed with preparing for the season. Both Viannah and I participated in National Novel Writing Month this year, further adding to our hectic schedule. Though this is a small issue, we hope you will enjoy it as much as you’ve enjoyed our past issues. We only bring you the best of what we read. As we are a small outfit, we do not get a huge volume of submissions, though we hope that what you read in these pages will spark your imagination. We’ve also been doing a few things on our end to shake up our process. Our editors now have another issue under their belt, and with each one we should become more stable in how we deal with submissions and how we put together the final copy. If you like what you see in these pages, please tell your friends and family. 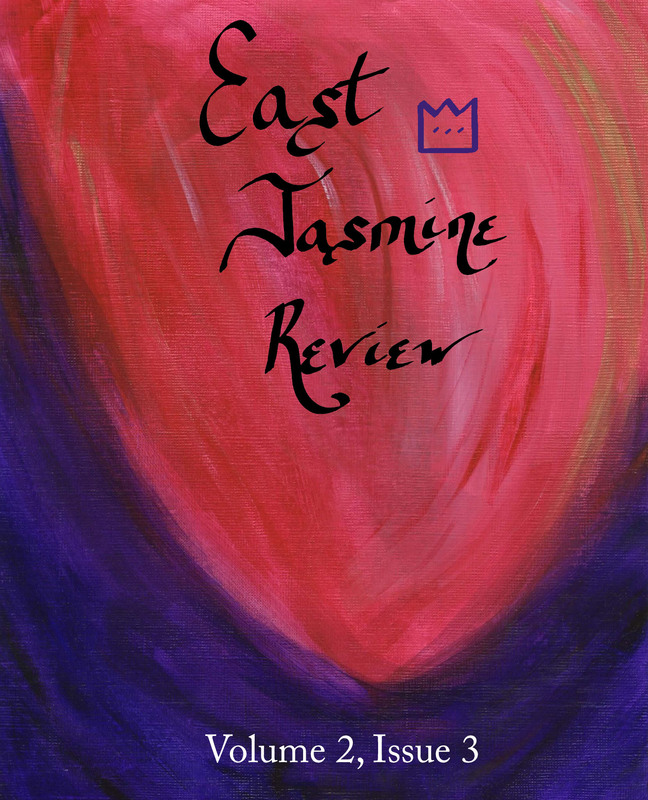 For the entire month of December, East Jasmine Review will be offering 25% off all e-purchases made in our store with the code: HOLIDAY2014. Give the gift of literature to friends and loved ones!